As we publish a brand new section of history on our website and celebrate 120 years of the X-ray, Dr Adrian Thomas, the BIR’s Honorary Historian remembers the events leading up to one of the most important inventions in the medical world. 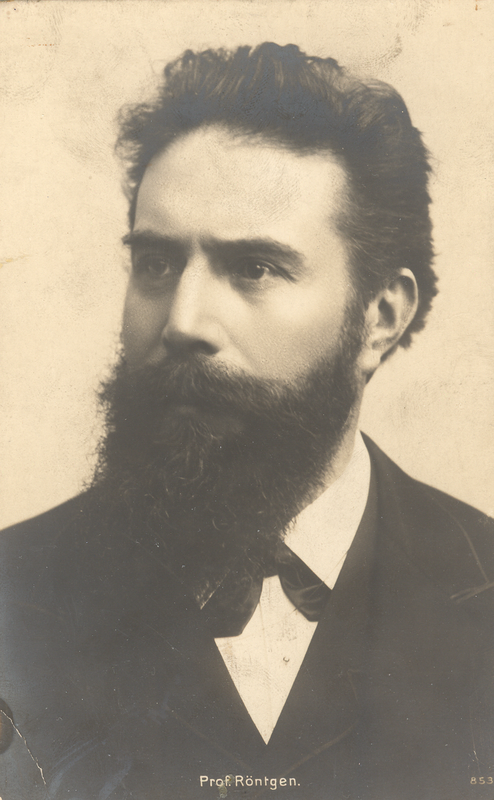 On the afternoon of Friday 8 November 1895 Wilhelm Conrad Roentgen (fig 1), a 50 year old professor of physics at the German university of Würzburg, was making his electrical experiments. He was passing electrical currents across a vacuum (Crooke’s) tube, carrying on the tradition of the great Michael Faraday. So Roentgen did not make any vain speculations—he investigated the new phenomenon. Also he did not pretend to any knowledge that he did not possess—so when he did not know he had the humility to say so. The rest, of course, is history, and this discovery, which took place 120 years ago this year, transformed both our understanding of the physical world and also of ourselves. The X-rays could not be explained by classical physics; a new way of looking at the world was needed, and modern physics was born. Roentgen showed that a hand could be placed between the Crooke’s tube and the screen and, to Roentgen’s astonishment, it showed the bones of the hand clearly. The image of a hand could also be made as a photograph or radiograph. We saw ourselves differently from this moment. In the UK, the news of the discovery appeared in the Manchester Guardian on 7 January 1896. The public had to be reassured that this was a serious discovery by a respected scientist and was not a joke! The prestigious science journal Nature was initially somewhat reserved about the discovery. 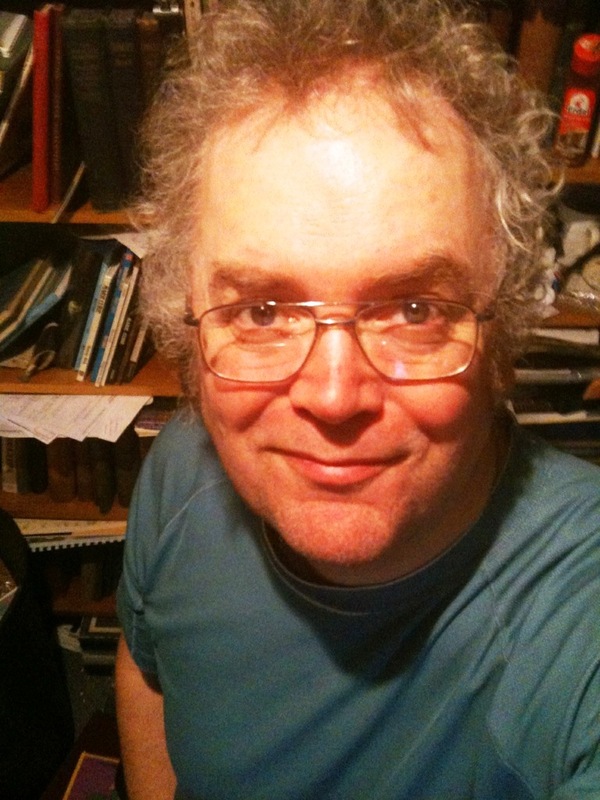 The translation of the article On a New Kind of Rays was printed in 23 January issue of Nature, the translation being sent by Professor Arthur Schuster of Manchester. We are now remembering the 70th anniversary of the end of World War II. 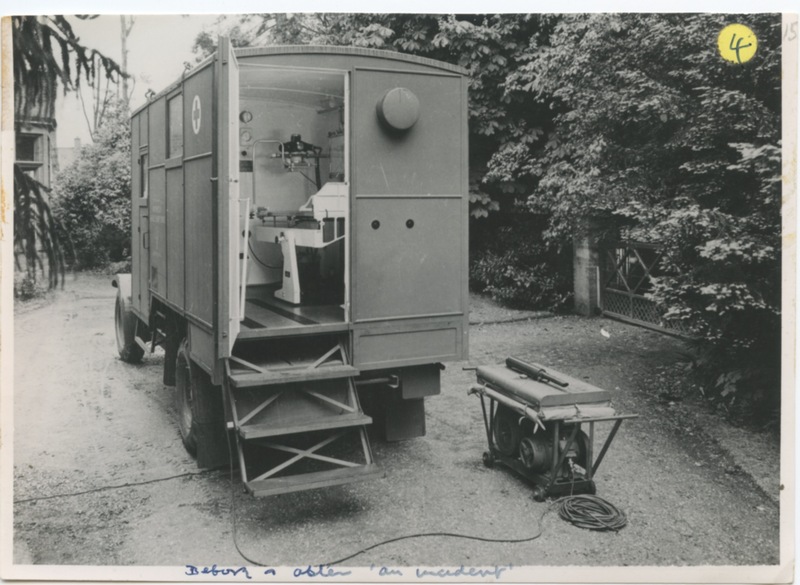 By 1939, good reliable shockproof portable X-ray apparatus was available as this X-ray ambulance shows (fig 2), and the radiological services were generally well organised. 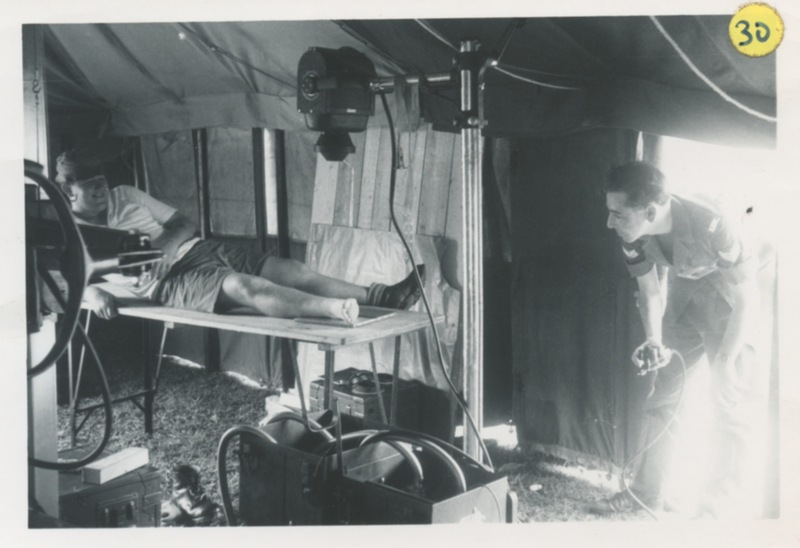 The British army was supplied with a good mobile X-ray machine, the MX-2, which was robust and easy to use for both radiography and fluoroscopy (figs 3 & 4). It could easily be put into a crate for transportation (fig 5), although care was needed! 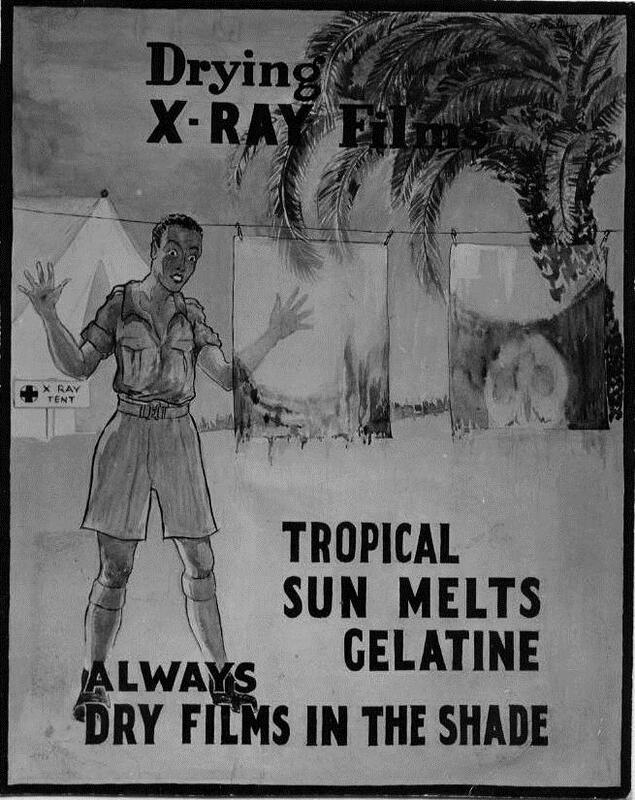 By this period radiography had developed as a profession and many radiographers entered the forces; however the overall numbers of radiologists and radiographers available were inadequate and many units were supplied with radiographers only, without medical radiologists. 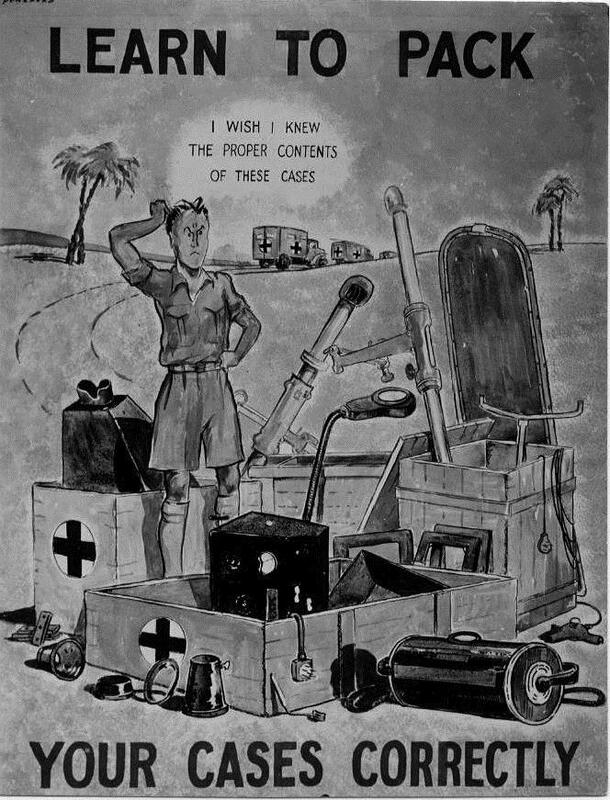 The numbers of radiographers meant that on average 50-100 patients could be dealt with each day, and the War Office recommended that if this number were exceeded then the lightly wounded and the prisoners of war should be asked to help the radiographer. 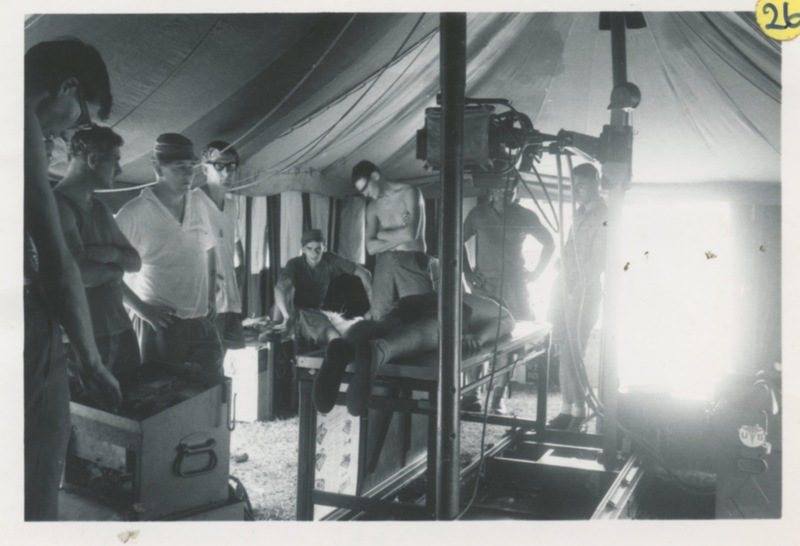 There were no radiologists in the casualty clearing stations or in the forward area and the full responsibility for the work rested with the radiographer. These radiographers developed considerable skills in adverse conditions (fig 6) and were integral to the team, and professional skills were more important and significant than the exact military rank. 3 & 4. MX-2 in use. 5. Problems of packing illustrated in this poster! 6. Difficulty with film in the tropical sunshine! Posted on November 6, 2015 by birblog2013. This entry was posted in Uncategorized. Bookmark the permalink.